What is 256-bit Encryption? How Safe is It? Why all the fuss about 64-bit serial numbers? What if getting phished could kill you? Should the tech industry be the arbiters of morality? 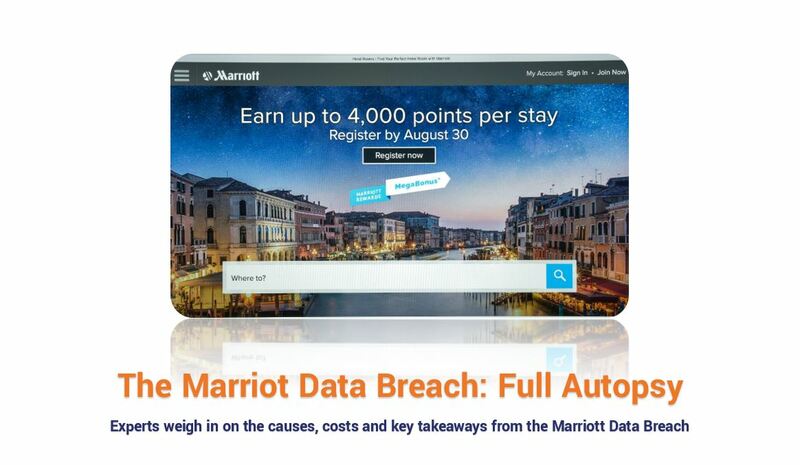 Today we’re going to autopsy last year’s Marriott data breach, which affected nearly 400,000,000 guests and looked to be one of the most pervasive breaches in history. There are a few big takeaways that come with this. And we spoke with a range of security experts to get their opinions on them. We’ll cover what happened, why it happened, who did it, and whether the culprit exonerates Marriott. But first we’re going to start with a quick refresher, followed by the Marriott Data Breach’s total cost – which we were updated on at the start of March. By this point, pretty much everyone is at least aware of the Marriott Data Breach, but let’s at least cover the basics before we get into unraveling the ramifications of it all. For starters, this breach is huge. By some estimates it’s the second biggest of all-time, behind only Yahoo and well ahead of Equifax. The breach actually began in 2014 and wasn’t discovered until September 10th of this year. In the four years between the network being breached and said discovery, “up to approximately 500 million guests” made reservations using the compromised system and now potentially have their personal data compromised. 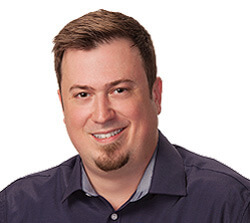 Greg Scott is a cybersecurity researcher and author, one of his biggest issues with the cybersecurity world in general is companies’ reticence to disclose information about breaches and attacks. This occurs for a number of reasons, not the least of which is to protect their reputation, but that tact doesn’t help to improve the security ecosystem. We knew Marriott had cybersecurity liability insurance from a release it made following the disclosure of its breach. What we did not know at the time is how adequate that coverage would be. Cybersecurity insurance is still developing, with a patchwork of policies from different insurers covering different things. We actually took a deep dive on Cyber Insurance last year if you’re interested in learning a bit more. Although we carry cyber/privacy liability insurance that is designed to protect us against certain losses related to cyber risks, that insurance coverage may not be sufficient to cover all losses or all types of claims that may arise in connection with cyber-attacks, security breaches, and other related breaches. Furthermore, in the future such insurance may not be available to us on commercially reasonable terms, or at all. It’s clear from that statement that even Marriott wasn’t sure how this situation was going to play out with its insurance and it was already preparing itself for a shifting insurance market and the possibility that it would be unable to find coverage in the future. That concern may have been a bit premature. Because while there has been rampant speculation that this breach will cost billions – speculation based on extrapolated costs from a Ponemon study – so far, the total has been far below that. At the beginning of March, Marriott released its earnings report for Q4 of 2018, as well as its full-year 2018 report. Buried in its press release, on page five, is mention of the costs incurred so far. In the 2018 fourth quarter, the company incurred $28 million of expenses and recognized $25 million of insurance proceeds related to the data security incident it disclosed on November 30, 2018. Admittedly, referring to one of the most massive breaches in history as “the data security incident” is either somewhat ominous or a massive understatement – it’s tough to tell. Regardless, Marriott appears to have been able to use its existing insurance policy to help mitigate most of the cost. So far. Because there are still potentially regulatory and compliance fines, plus lawsuits. Marriott’s cyber insurance may kick in on some of those, too – but we also don’t know enough about the policy to estimate how much, if at all. As we mentioned earlier, the parallel being most commonly made is to the Equifax situation, but that’s not necessarily a 1:1 comparison. Equifax was a credit monitoring agency, one whose data was arguably more lucrative than Marriott’s. That’s not to say that Marriott’s data isn’t valuable – it is. But you could also turn around the Equifax information and either sell it or commit fraud with it more quickly than what would be required with Marriott’s. Part of that can be attributed to the difference in the data that was stolen, and some of it is likely a result of the redundancies in the Marriott database – where the same individuals may have multiple entries across different Marriott brands and properties. There’s also a difference between who was behind the two breaches, which we’ll get to in a moment. We will continue to update this part of the article as more of the details about the Marriott Data Breach’s cost become available. Realistically, we’re reaching a point where attacks and breaches are so commonplace that you almost have to resign yourself to the fact that it’s no longer a matter of if – but when. So while maintaining a good security posture is critical, an organization’s response to a cyber attack or breach is equally, if not more important. Too much trust in employees – or not enough? As we mentioned, this attack actually began in 2014 and was carried out over four years before it was finally discovered. As scary as that sounds though, it’s hardly an isolated incident. Others, like Grant Elliott, the CEO of the SaaS platform maker, Ostendio, disagree. He thinks employees need to be better informed and trained to identify and respond to digital threats. Organizations need to stop treating their people as the problem, but rather as the first line of defense. Investments need to be made in better training, better vendor management and data needs to be viewed less in terms of ‘Ownership’ and more around ‘Right of Use’ and ‘Right of Access’. The government can help too by improving incentives, both positive like tax credits for training, and punitive like GDPR and the soon to be introduced CCPA. When the other shoe dropped in the Marriott Data Breach scandal it landed with a sickening thud. The New York Times and the Washington Post quickly reported that Chinese state-backed hackers were likely responsible for the breach. And if that doesn’t make the hair on the back of your neck stand up a little—it should. This is yet another escalation in a burgeoning cyber war between the world’s foremost powers. The US has already been engaged in a high profile spat with Russia stemming from its interference in the 2016 US Presidential elections. While nobody was under the impression that the US and China were playing nicely, this shines more light on the conflict than we’ve seen in recent years. But does that, at least partially, let Marriott off the hook? “While it is difficult for any company to protect against a sustained state-owned hack by a foreign government, there is a reason these types of breaches keep occurring. Many US companies are an easy target. Why? The state of corporate cyber-defense in the US is at best, inconsistent, and at worst broadly mediocre.. That is not to say some companies don’t spend a lot of money on security. But often they spend it on buying the latest shiny new cyber -tool, rather than focusing on developing a broad risk-based approach. Black, who works closely with CISOs agrees that US companies need to increase their security spend and better train their employees. But he’s much more fatalistic about our current digital reality. As a society, we should expect that our country’s enemies will use our data and infrastructure to try and undermine the United States and its companies. As a consumer, we should all be prepared for our data to be exposed. That seems like a nice, cheery note to end on.